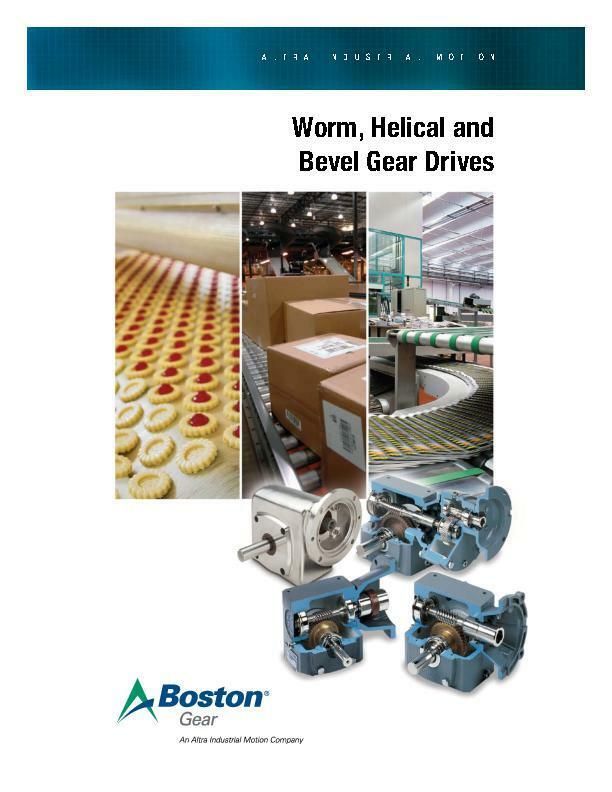 The Boston Gear 700 Series Stainless Steel Speed Reducer and the NEW Stainless Steel Motor are both designed to provide maximum corrosion resistance in caustic Washdown. The Stainless Steel 700 Series maintains the same critical dimensions as its trusted cast iron sister series and utilizes the same gearing and shafts for easy field retrofitting and backwards compatibility. 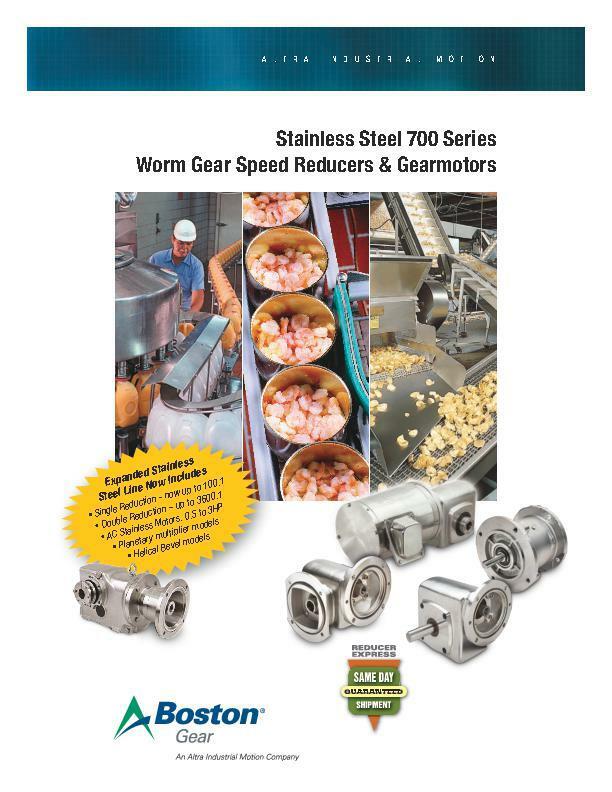 Blending trusted 700 Series worm gearing with an innovative new exterior design, the stainless steel 700 series has been optimized to withstand the harshest washdown conditions. 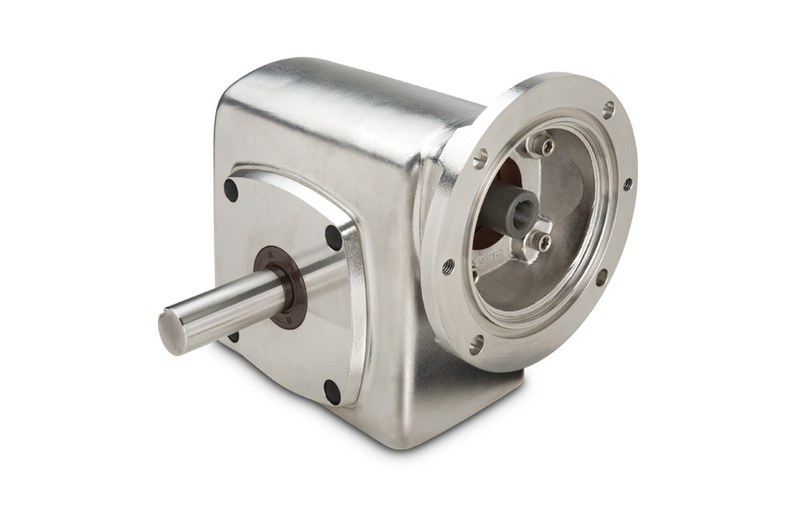 The units feature trusted 700 Series worm gearing,a 316 stainless rounded housing with smooth uninterrupted surfaces designed to prevent particle accumulation and pooling fluids,double lipped shaft seals,covers for all hardware and counter bored holes.